The aerial objects that created a flutter at the Mumbai airport on Saturday when two Jet Airways flights were asked to abort take-off and landing could be weather balloons, officials of the aviation safety regulator said on Monday. Sources in the directorate general of civil aviation (DGCA) said the Indian Meteorological Department’s airport bureau in Santacruz had set off balloons to collect weather data. “The weather balloons travelled from the southwest owing to the current wind pattern. The flight paths match with the location where airport staff spotted the aerial objects,” said a senior DGCA official requesting anonymity. 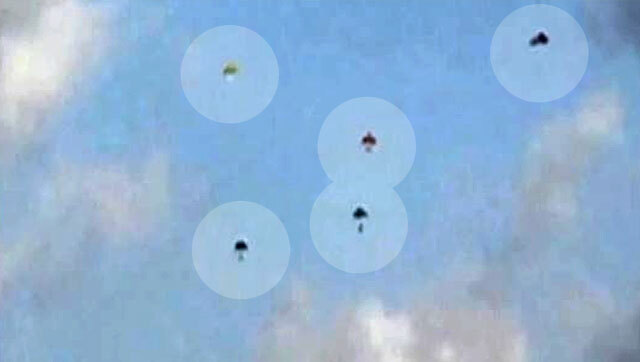 On Saturday evening, 5 small parachute-like objects were observed approaching from the southwest direction of the Mumbai airport moving towards northeast along with the wind. The airfield staff alerted the air traffic control (ATC) tower which in turn asked pilots lined up for take-off and landing to be cautious since they were crossing the runway intersection. As a result, a Jet Airways flight 9W-326 from Ahmedabad was asked to abort landing at the last minute and another Jet Airways flight 9W-323 to Ahmedabad was asked to hold its position on the airstrip. IMD officials said that weather balloons are set off every day, but such an incident has never occurred. “These balloons fly at an altitude much higher than the touchdown levels used by scheduled flights. Therefore there are slim chances of them coming in the way of air traffic,” said SG Kamble, director of radar, IMD Mumbai airport bureau. A weather balloon is a high altitude balloon which carries instruments aloft to send back information on atmospheric pressure, temperature, humidity and wind speed using small, expendable measuring device called a radiosonde.